I was happy to have the opportunity to evaluate the new product of Aurorae Spa. The Pledge Candle: Harmony Lavender Soy candle. This is a new product they want me to review. I was happy for the fast shipping in the mail. The candle itself smells so good, as I opened from the mailed box. I was really surprised about the aromatic fragrance of lavender soy candle surfacing right away the minute you take the package box. I love how the candle smells very relaxing even when you haven’t lit the candle yet. What comes with it is the information about pledge candle. Its tin is recyclable. It is a 6.8 Oz and 100% made of soy wax – very environmentally friendly, I admit. It takes up to 30-35 hours burning time. It’s immensely last while enjoying the smell of lavender whenever I meditate. I used the candle whenever I want to relax and meditate; I lay down on my bed and lit up the candle and I don’t need it to get closer as the scent is just overpowering. When I closed my eyes, I feel so calm. As if I felt, I’m actually in a Spa place. I love the soft delicate scent it gives, that truly gives me a good relaxation. Get your Pledge Candle Harmony now at www.auroraeyoga.com, experience the scent of Aromatic Lavender Soy Candles. You can also buy the candle at Amazon. Candles, especially aroma candles can be very relaxing and are great to aid in meditation. Oh wow, definitely gotta try this! I can only imagine how relaxing the lavender scent is. The candles look so cute and coloful. I like how quickly the scent fill the room. I love their products, would love to try their candles. I love aromatherapy products. I would love to have these candles. Oh my! I love lavender scented candle. I hard about this and I forgot If I participated it or not. I guess not since I have not received any candle from aurorae. this candle will be perfect while meditating. Mmm, I love the smell of lavender. nice candles! Oh this would be so relaxing to light when you are doing some yoga. 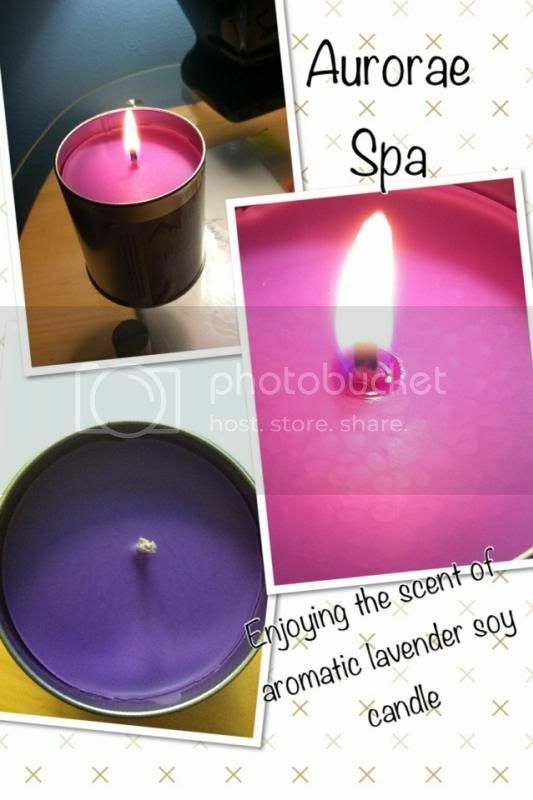 Aromatic candles are nice and it creates a relaxing ambiance to a space. I like lavender.